Right now I'm really into pastels. 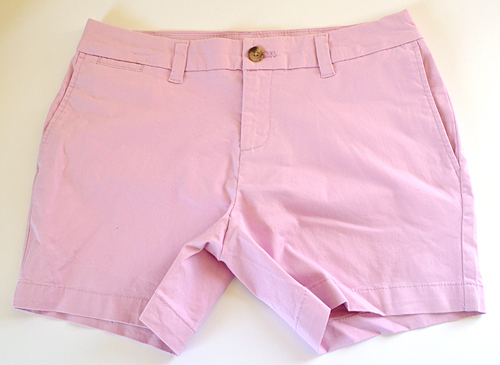 My favorite shorts are a pretty light apricot. So preppy. So pretty! Since I literally have a pair in every color that was available I thought it might be neat to spiffy up a pair by spray painting a lace pattern on with Colorshot. I went with my least favorite color just in case this didn't pan out as hoped, because sometimes it doesn't. Luckily this time it did! 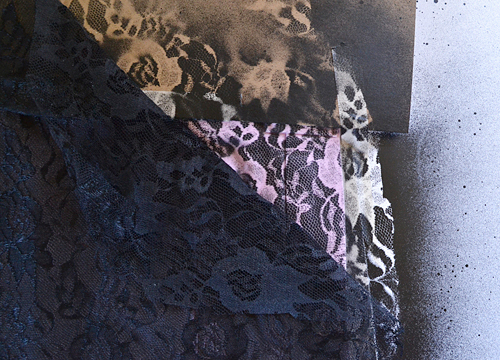 Lace fabric. I'd suggest buying a full yard. Here are my shorts. These are less than $13 at Walmart and they are comfy to wear and wash up super well. Trust me... I'm living in these things this summer! The color is a cross between lavender and pink and I'm not really feeling it so this pair has been hanging out on the sidelines. But fixing that up will be easy enough! Tape off to where you have one side covered. You will need to grab scrap paper or cardboard or plastic to completely cover the section that is not being sprayed. 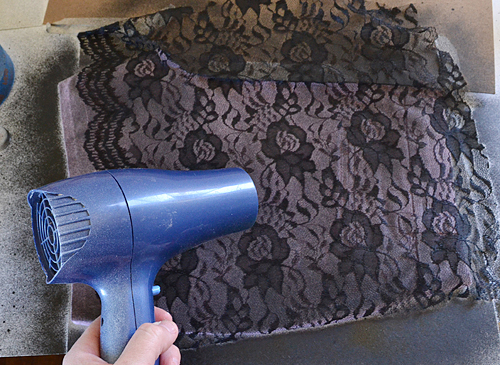 Use a repositionable spray adhesive onto the back side of your lace fabric. 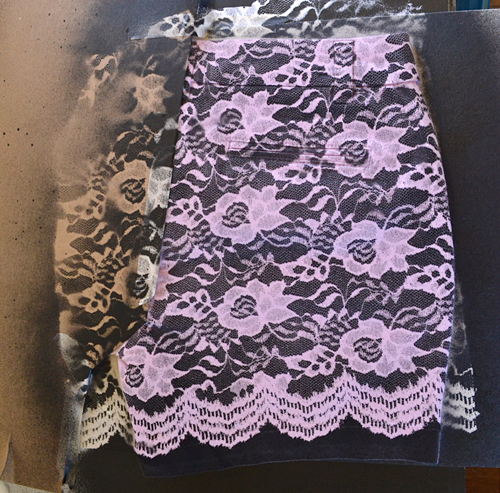 Stick your lace onto the area to be painted and press down to really push the lace down. 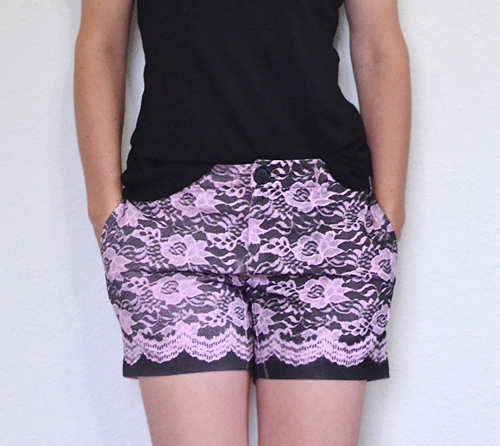 I used the scalloped edge to fancy up the hem of my shorts. The fabric was more expensive by $3 a yard with the scallop than without but I'm happy with the choice. 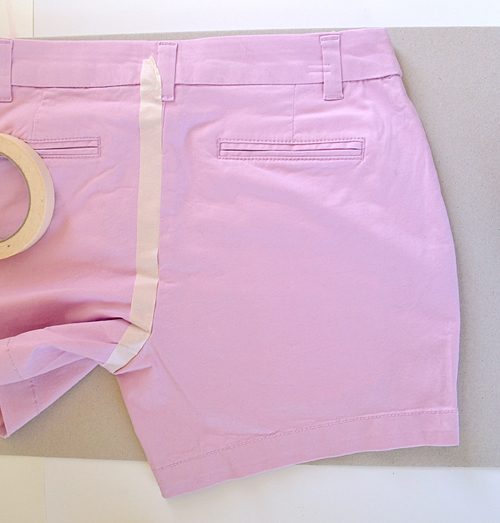 Place your shorts on something to protect the surface like newspaper or poster board or plastic. Seriously. This stuff means business and dealing with overspray is not fun. Give the can a good shake and get ready to be amazed by Colorshot! 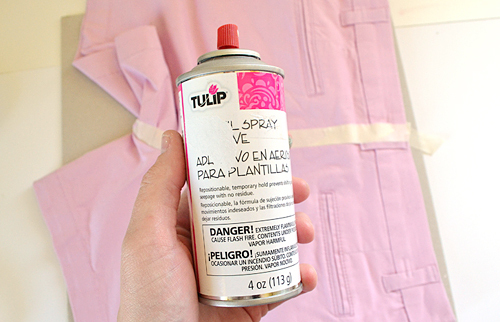 Holding the can parallel to the fabric lightly spray the shorts. 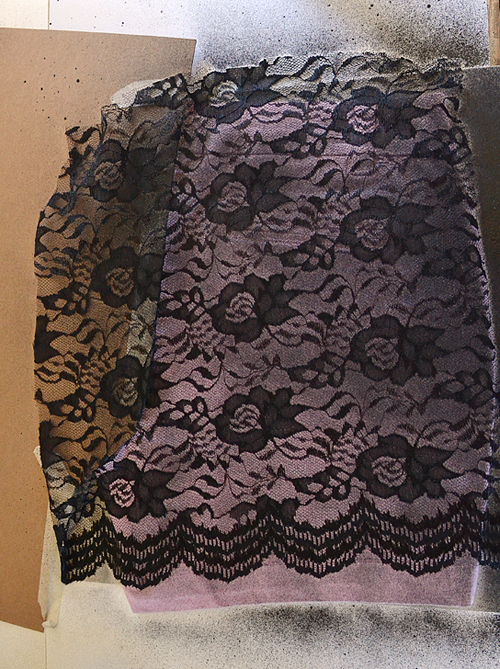 Going with light coats helps the paint from seeping under the lace and messing up the pattern and it's pretty important for good results. If you are impatient like me, bust out that blowdryer and speed this business up! 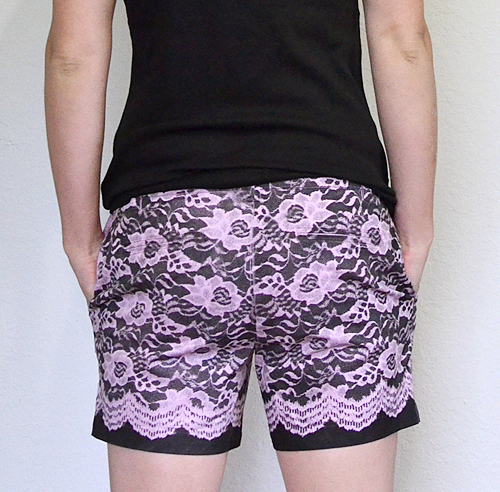 While covering with lace and painting be sure to catch the side of the shorts, too. Now when I pulled back this little bit I was all YAAS! Look at how well that worked! Fab! 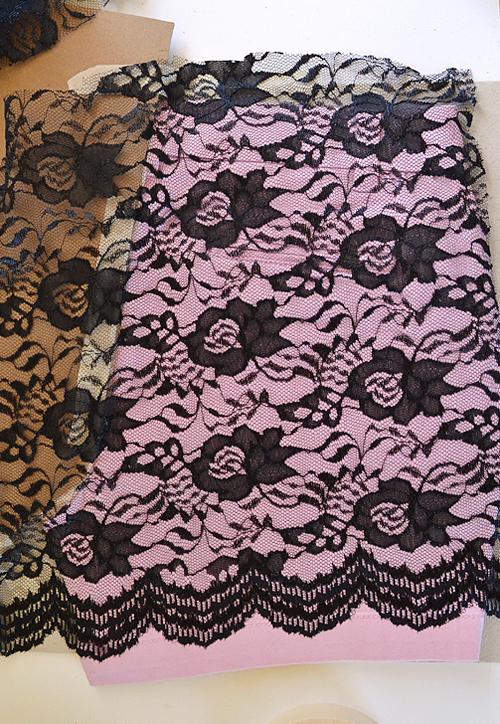 Remove the lace and set aside. Allow the paint to dry very well and start taping up the other side just as before. 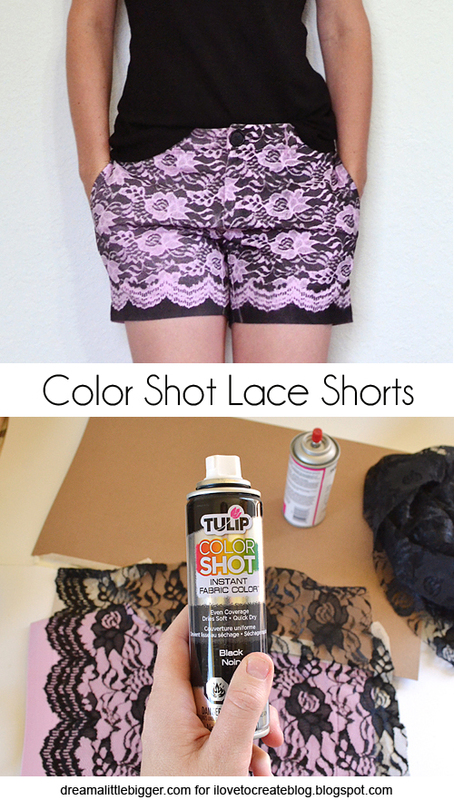 Use a NEW piece of lace on each section of the shorts. 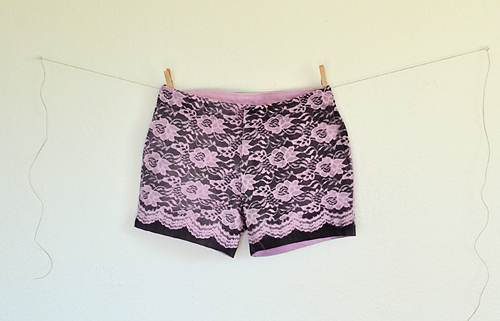 The painted lace becomes quite stiff and it won't adhere as well to the little nooks and crannies of the shorts. Boom! There my shorts are and I love them! I wish I would have done a better job of keeping my coats of paint the same so that the front two panels were more alike but these are still lovely! My lace doesn't meet up perfectly but think about all of the storebought patterned clothes you've purchased. They aren't all perfect are they? I replaced the pink button with a black one but that is just totally preference! Paired with a comfy black tee and some flip flops these casual shorts are perfect for a day about town. Dress them up with a nicer top and some pretty flats and this could even be a great summer outfit for an evening get together! for tons of DIY, crafts, lifestyle and even food! Allison, these are really smart. This is one of the best clothing makeovers I've ever seen. Love it. Great job!! !